Born on this day, August 19, in 1883, we break out the Little Black Dress to honor the birthday of the peerless fashion colossus, Coco Chanel. Coco Chanel created the “LBD” in 1926 as a simple, short black sheath that could suit women of all body shapes. She referred to it as a dress “that all the world would wear.” Black was a revolutionary choice of color because, until then, it was really only worn at funerals or by widows. It’s safe to say that in all its subsequent permutations, the LBD has never gone out of style. A good LBD is timeless. A good LBD is an investment (well, that’s my story and I’m sticking to it). It doesn’t matter whether you’re young or of more mature years, there’s a little black dress out there with your name on it. Another perennial Chanel creation was the Chanel suit, designed in 1925 and still worn today. With its button-up collarless jacket and well-fitted skirt, it was pretty unorthodox for the time. Made of wool, the suit was comfortable, easy to wear, and practical, equally appropriate in a business setting or a social gathering. By the 1920s, women had gained more social freedom. They’d taken up the slack in factories, shops, and offices during the war years when the men were away, and now they were taking professional positions in their own right. Chanel capitalized on this liberation by taking women out of corsets and long skirts and into comfortable, practical clothing that was also stylish. She also made wearing trousers (bell-bottoms) fashionable for women. Another thing she did was to introduce accessories such as plain hats devoid of gaudy feathers, flowing scarves, and costume jewelry; she made it acceptable to mix and match pearls and colorful beads. She occasionally wore mismatched earrings which were set off by her fabulous bob haircut. She embodied ultra-modernity and became a fashion and style icon herself. Gabrielle Bonheur Chanel was born on August 19, 1883, in a small town in western France and had a tough childhood. She grew up in an orphanage after her mother died and her father abandoned her. Nuns taught her how to sew and she took to millinery with ease in her teens. She received her nickname “Coco” during a brief stint as a cabaret chanteuse. 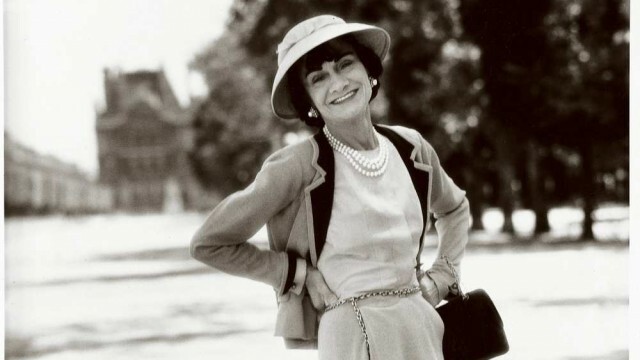 Coco Chanel’s business was so successful that she was soon able to open shops in other cities. She also began making clothes. The story goes that, on one cold day, she made a dress out of an old jersey. Its simple design screamed modernity and style. The dress was remarked upon by lots of women, jersey not being a fashionable fabric at the time, and Chanel’s decision to make more was the beginning of her long and outstanding design career. Her success and growing wealth ensured her financial independence and a great deal of personal freedom. She had numerous lovers in her life, among them the great composer Igor Stravinsky whom she met while doing design work for Sergei Diaghilev’s Ballets Russes (she also had an affair with Diaghilev), Grand Duke Dmitri Pavlovich, a Russian nobleman, and designer Paul Iribe. The Duke of Westminster fancied her and proposed marriage on more than one occasion, but while she obviously cared about the Duke – their romance enduring for some years – she never married. When France was under Nazi occupation in World War II, Chanel had a liaison with a German officer, something that didn’t endear her to her countrymen, but her shop remained open, so perhaps she was prepared to sacrifice political ideals for economic reasons? It’s not for me to say. Her professional interests included perfume laboratories, a textile factory, and a costume jewelry business. She remained an entrepreneur until her death, aged 87, in 1971.